Viva’s Veronika Powell reveals how our favourite milks have actually been popular around the world for centuries. The truth is, you will find a long history of plant milks and other plant drinks made by different cultures across the world over millennia and there is certainly nothing new or unusual about people consuming them. Coconuts originally come from India and Southeast Asia but because they float, were carried to coastlines all over the Pacific Ocean and successfully made their homes in all the subtropical places they could find. People further contributed to the spread across the Atlantic and now coconut palms grow in virtually all subtropical coastal zones around the world. Coconut milk is the liquid that comes from grated coconut meat and it can be very thick and creamy or thinner and more milk-like. It’s been one of the main ingredients in Southeast Asia, South Asia, the Caribbean and northern South America for centuries and even millennia in some places, such as India. It is the main ingredient in many traditional dishes and beverages and is sometimes used for ceremonial offerings. Of all the plant milks, coconut has the longest tradition of use. 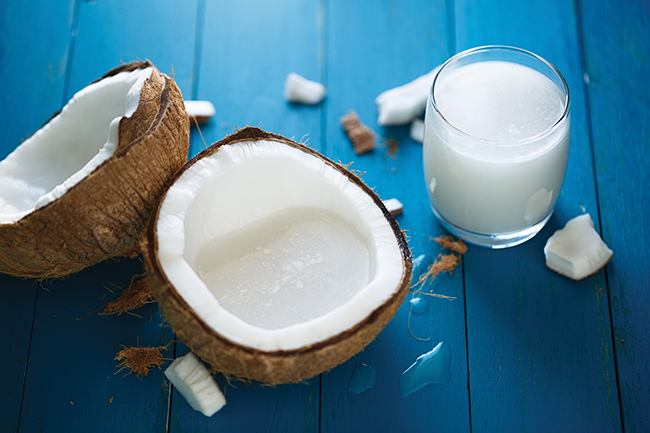 In many countries where it is a staple, people simply wouldn’t consume cow’s milk so coconut milk is ‘the milk’. Soya beans come from China but thanks to their high nutritional value and relatively easy cultivation, they have been grown in the Americas and Europe since the 19th century. Soya milk made from European soya beans is especially environmentally friendly (if you live in Europe, that is!) and usually non GM. The earliest mentions of soya milk in written text are Chinese, from 1365. Records from the 17th century describe its traditional use in Chinese cooking. In 1866, soya milk was first discussed as a drink by the Frenchman Paul Champion, who wrote about the Chinese taking their cups to tofu shops to get hot soya milk, which they drank for breakfast. 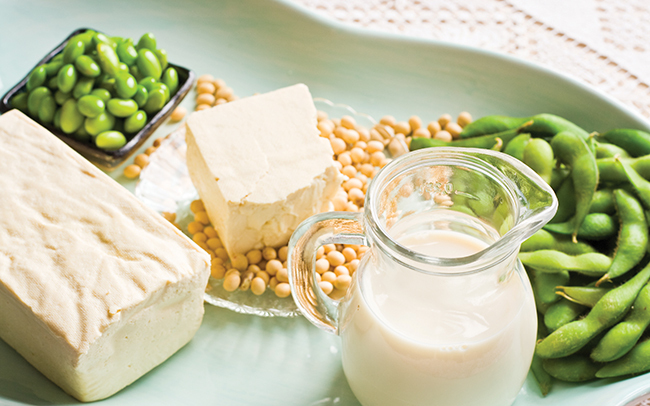 The term ‘soy-bean milk’ first appeared in a US publication in 1897, which featured a table comparing the nutritional qualities of soya and cow’s milk! In 1910, the first soya dairy factory was set up near Paris by Li Yu-Ying, a Chinese biologist and engineer. He applied for and was granted the world’s first soya milk patent, titled ‘Vegetable milk and its derivatives’. In the 1920s, soya milk factories cropped up in the USA and China and soya milk production increased dramatically. An American entrepreneur, Bob Rich, developed the idea of soya milk further and in 1945 launched soya-based Whip Topping. A lawsuit by the dairy industry swiftly followed, accusing Rich of making an imitation dairy product which was illegal. His legal team argued that it wasn’t an imitation but a replacement – and won the case! In the UK, the Plantmilk Society was founded in 1956 by Leslie Cross, vice-president of the Vegan Society. C. Arthur Ling became the chair, helping to create commercially viable plant milk. The final product was soya milk fortified with calcium and vitamins B2, B12 and D2. In 1972 the company changed its name to Plamil Foods. During the 1970s, due to pressure from the dairy industry, they were not allowed to call the product ‘soya milk’, instead ‘liquid food of plant origin’. Later, it became ‘soya plantmilk’. In the ’70s and ’80s’ it became increasingly popular throughout Asia, Europe, Australia and the United States. As technologies developed, TetraPak cartons enabled soya milk production to expand even further, with the result that soya milk is now the most popular and most nutritious non-dairy milk. Almonds are native to the Middle East, India and North Africa and a firm staple in local cuisines for centuries. First brought to Southern Europe more than 1,000 years ago and, more recently, to California in the 19th century, there are numerous records of almond milk as a common ingredient in Christian and Islamic cultures in the Middle Ages. It was seen as a beverage or food ingredient, and also therapeutically, as it is easier to digest than cow’s milk. The first mentions come from the 13th century, when it featured in a Baghdadi cookery book, and from the 14th-century Egyptian cookery book that describes extensive use of almonds and almond milk. England wasn’t too far behind as almond milk was first mentioned in English literature in 1390. During the Middle Ages, it became widely used in Europe during Lent as a replacement for dairy milk but also in recipes for children, presumably because it’s easy on the digestion. Some traditional Islamic recipes use almond milk as an ingredient for beverages served during Ramadan. 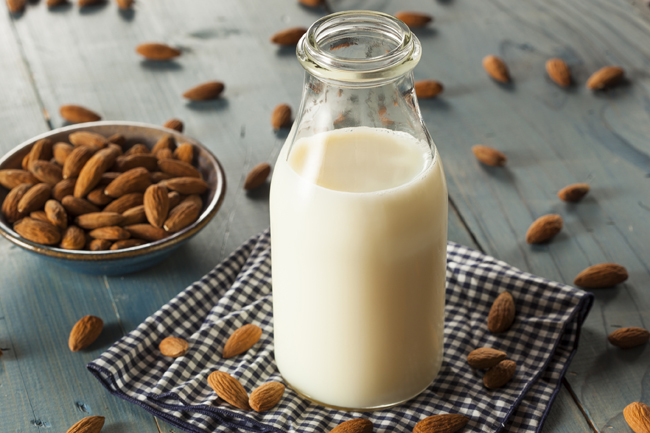 In 1840, almond milk appeared as a common ingredient in a book describing Indian foods, beverages and their medicinal use. However, India’s use of almond milk is likely to cover a much wider span of history. The 19th and early 20th centuries saw almonds’ popularity soar in the USA, in cooking and for almond milk. It was driven particularly by Seventh Day Adventists, who are traditionally vegetarian or vegan, and almonds and other nuts were replacements for milk, cream and meat in many dishes. 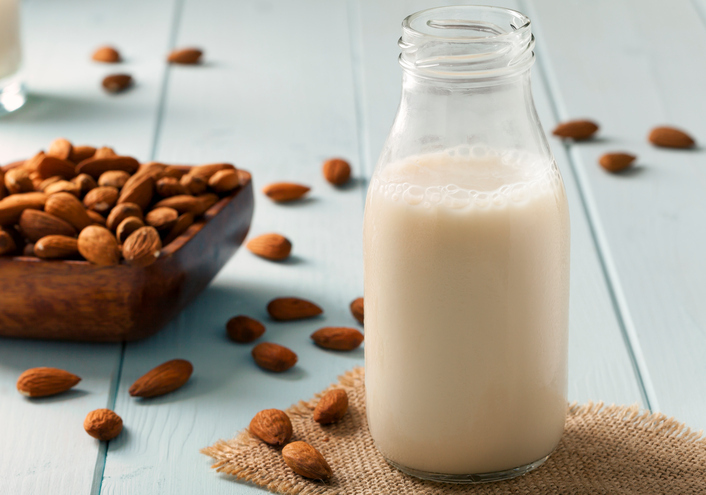 Acknowledged by health food proponents, almond milk gained in popularity on both sides of the Atlantic. In 2013, sales of almond milk even eclipsed soya milk in the USA! Rice milk doesn’t have as long a history as other milks but it certainly isn’t new. There are no definitive records to show where and when it was first made but in 1921 it was established enough for the first rice milk factory, Vita Rice, to be set up in San Francisco. Much later on, in 1990, Rice Dream launched rice milk packaged in TetraPak aseptic cartons, which propelled its popularity and made it more available. Some people prefer rice milk to other plant milks, but its popularity may be slightly limited because it doesn’t work as well in tea and coffee as some other milks. You may have heard of horchata, the traditional drink in Spanish-speaking countries. It is made from ground almonds, sesame seeds, rice, barley, cashews or tiger nuts. 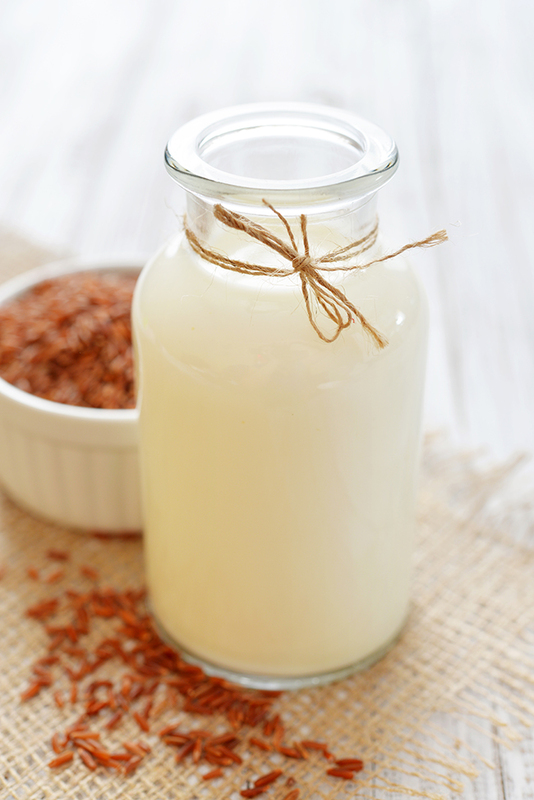 Each country, and even regions within the country, have specific horchata recipes with ingredients varying widely across Spain and Latin America. Nowadays, people sometimes add cow’s milk to horchata but the original drink that dates back to the 8th century was purely plant-based. A drink made from what? 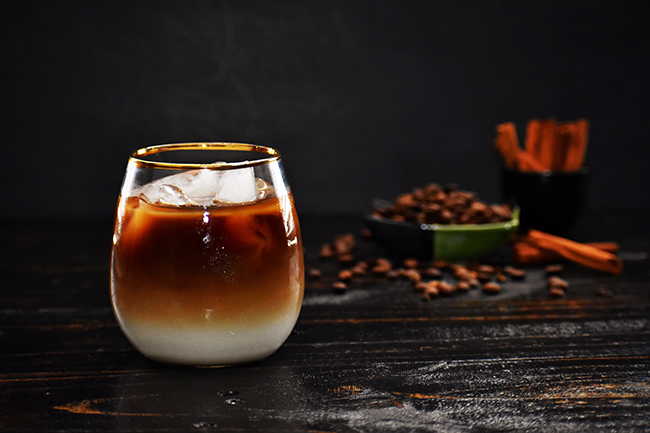 Plant-based drinks have been a staple in many cultures all over the world. Almond, coconut and soya milks have a long history, but the most popular drinks made from beans are coffee and cocoa! So next time someone questions your choice, remind them they’ve probably been having bean drinks all along.